The youngest actor ever to win the coveted Best Actor Oscar when he snared it at age 29 for his performance in “The Goodbye Girl” (1977), Richard Dreyfuss had soared to stardom during the 1970s on his uncanny ability to make annoyingly vain, pompous, whiny or supercilious characters seem both heroic and likable. Though he was the epitome of cockiness on screen, there was something reassuring about his presence, and he acquired his “own constituency,” thanks to an Everyman honesty that conveyed human weakness in all its beauty. On top of the world at the end of the decade, poised to become one of the major superstars of the 80s, Dreyfuss instead blew his movie-star career sky-high through a cocktail of cocaine, booze, pills and arrogance, yet another example of too much, too fast in the Hollywood fast lane. After a period of relative inactivity, he rebounded, chastened and wiser, to once again pursue the only thing he had ever wanted to do with his life, and the public, always pleased to see him, was ready. Dreyfuss began acting in amateur theatricals at the age of nine and made his professional stage debut in a 1964 Los Angeles production of “In Mamma’s House”, appearing on TV for the first time soon after. His feature debut came with a bit in “Valley of the Dolls” (“I am in the last 40 seconds of the worst film ever made”), followed by another small part in Mike Nichols’ “The Graduate” (both 1967), but he first attracted notice for his cocky little draft dodger-car thief in “The Young Runaways” (1968). He spent time in New York, acting on Broadway in “But Seriously . . .” (1969) and Off-Broadway as Stephen in Israel Horowitz’s “Line” (1971), before exploding onto the scene in 1973 with a performance as Baby Face Nelson in John Milius’ “Dillinger” and a star-making turn as the ambivalent college-bound Curt of George Lucas’ surprising mega-hit “American Graffiti”. He then delivered another gem as the title character of “The Apprenticeship of Duddy Kravitz” (1974), an ambitious kid from Montreal’s Jewish ghetto in the 1940s, determined to make good no matter what. Moving into the mid-70s, Dreyfuss seemed to bypass playing twentysomethings for more adult roles, becoming further established as the lead (and alter ego) for Steven Spielberg in two of the decade’s top-grossing films, “Jaws” (1975) and “Close Encounters of the Third Kind” (1977). As the charming ichthyologist of the former and the Indiana power company technician bedeviled by an enigmatic obsession triggered by his encounter with aliens in the latter, the actor communicated a sense of urgency that kept moviegoers on the edge of their seats. With each deep breath he took, audiences gulped for air, in tune with him empathetically, and his inspired work helped insure that the wonderful special effects in each movie did not dwarf the story or characters. Confirmed as a major talent, Dreyfuss went on to win an Academy Award for his first romantic role as the out-of-work actor compelled to play a “flaming” Richard III in “The Goodbye Girl”. Benefiting from arguably the best screenplay Neil Simon ever wrote, he first alienated Marsha Mason, but love eventually blossomed for the pair in the extremely well-received, warm-hearted comedy. Dreyfuss continued working steadily through the end of the 80s and into the 90s in vehicles like Mazursky’s “Moon Over Parador” (1988), Spielberg’s “Always” (1989) and Nichols’ “Postcards From the Edge”. His amorous (and obnoxious) supersalesman swept Holly Hunter off her feet in the romantic comedy “Once Around”, and he was ironically not the most irritating pest in the successful comedy “What About Bob?” (both 1991), deferring to the ultra-neurotic Bill Murray. He reunited with Estevez for Badham’s sequel “Another Stakeout” and Simon for the film version of “Lost in Yonkers” (both 1993), but all these roles were just a prelude to his tour de force performance in the sentimental, old-fashioned “Mr. Holland’s Opus” (1995). Offered the chance to play “a life” for the first time, Dreyfuss dyed his hair brown for the youthful Holland, and its natural color (prematurely gray since his 20s) made him a believable 60 (much to his chagrin). His perfect portrayal of a musician who puts his own ambitions on the back burner to dedicate his life to music education earned him a well-deserved second Academy Award nomination as Best Actor. Dreyfuss lent his talents to several prestigious small-screen presentations during the 90s. He executive produced and starred in Ken Russell’s HBO movie “Prisoner of Honor” (1991) as an anti-Semitic officer championing Alfred Dreyfuss (a distant relative) against charges of espionage in 1890′s France. He also co-produced and starred as Fagin in “The Wonderful World of Disney” remake of “Oliver Twist” (ABC, 1997). His film directing debut, the short “Present Tense, Past Perfect” (1996), aired on Showtime’s “Directed By” as part of “Anything for Love,” along with Lahti’s Oscar-winning “Lieberman in Love” and Christian Slater’s “Museum of Love”. After portraying a William Kunstler-like attorney for Sidney Lumet’s “Night Falls on Manhattan” (1997), the director’s fourth feature exploring cops and corruption, he perhaps cast his pearls before swine with the one-joke comedy “Krippendorf’s Tribe” (1998) before returning to the small screen for the HBO movie “Lansky” (1999), playing infamous Jewish gangster Meyer Lansky, who put the actor in mind of his own immigrant grandfather. While his big screen output showed signs of a lack of quality control—the middlebrow comedies “The Crew” (2000) and “Who Is Cletis Tout?” (2001), for example—TV quickly became a promising outlet for Dreyfuss: the actor turned in fine performances as the U.S. president in Stephen Fears’ live broadcast production of the tense Cold War drama “Fail Safe” (2000); as a troubled college history professor in the well-crafted but short-lived dramatic series “The Education of Max Bickford” (CBS, 2001-2002); and as Secretary of State Alexander Haig in the Showtime docudrama “The Day Reagan Was Shot” (2001). And the actor proved he could still be a riveting presence in feature films as well when he appeared in the ensemble of writer-director John Sayles’ sharp political satire/mystery “Silver City” (2004), playing a Colorado gubernatorial candidate’s hard-driving, double-talking, take-no-prisoners campaign manager. After playing a husband reconciling with his wife (Judy Davis) while on a road trip to their son’s wedding in “Coast to Coast” (Showtime, 2004), Dreyfuss was cast in the larger-than-life remake, “Poseidon” (2006), playing a suicidal gay man who struggles to escape a capsized ocean liner with a ragtag group of passengers who must rely on and trust one another despite their differences. Do you want to hire Richard Dreyfuss? Directly request a quote. In 48 hours we can send you the availability of Richard Dreyfuss If you would like to book Richard Dreyfuss, Entertainment Booking Agency is the right place. 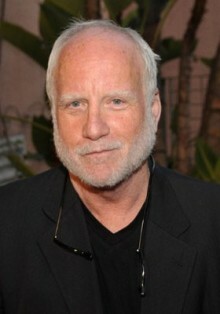 We will offer you the best price and contact the management or we directly contact Richard Dreyfuss. For corporate appearances or speaking engagements you can contact our agents and the will help you true the process. Tags: hire Richard Dreyfuss, Richard Dreyfuss booking, book Richard Dreyfuss, Richard Dreyfuss appearances, find more information on booking Richard Dreyfuss for appearances, Richard Dreyfuss speaking engagements, Richard Dreyfuss endorsements/spokesperson, Richard Dreyfuss appearance fees, Richard Dreyfuss booking agency contact info, biography of Richard Dreyfuss, Contact an artist booking talent agent find a speakers bureau that can book Richard Dreyfuss, speaker booking agency for Richard Dreyfuss, Richard Dreyfuss booking agency, Richard Dreyfuss booking for corporate event. EBA is one of the biggest entertainment booking agencies in the World. We book hundreds of celebrities, artist, athletes and speakers in a year. Important to know is that we are not claiming to be the management of Richard Dreyfuss. We are not the official agent for Richard Dreyfuss. Companies from around the globe book these artists and speakers true our company be course we have one of the biggest networks and we always have direct contact with the artist or the management. We help you to find the right celebrities for your corporate of private events. Please contact one of our agents to get free advice and we will help to get the world-famous artist on your party.